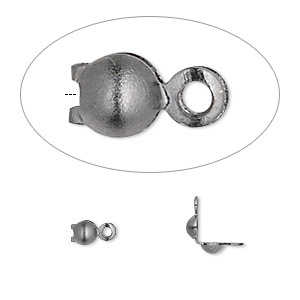 Bead tip, copper, 7x3.5mm bottom clamp-on with 2 closed loops. Sold per pkg of 10. 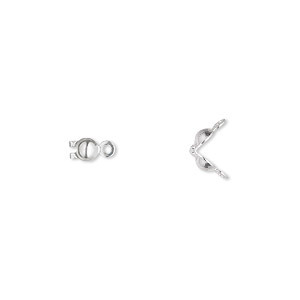 Item Number: H20-9453FY Have a question about this item? 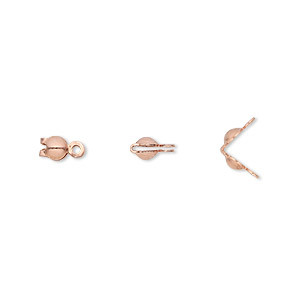 Conceal and protect knots fashionably with copper bead tips. 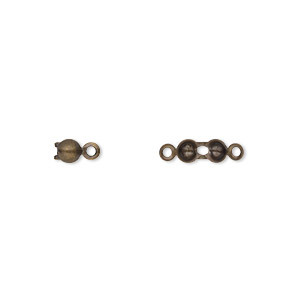 Clam shell bead tips have two closed loops that create a secure finish when concealing knots at the ends of bead strands. 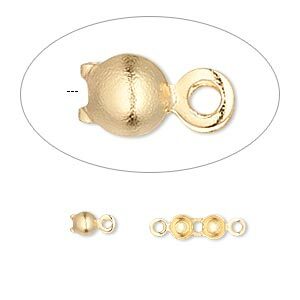 Bead tip, copper, 7x3.5mm bottom clamp-on with 2 closed loops. Sold per pkg of 100.